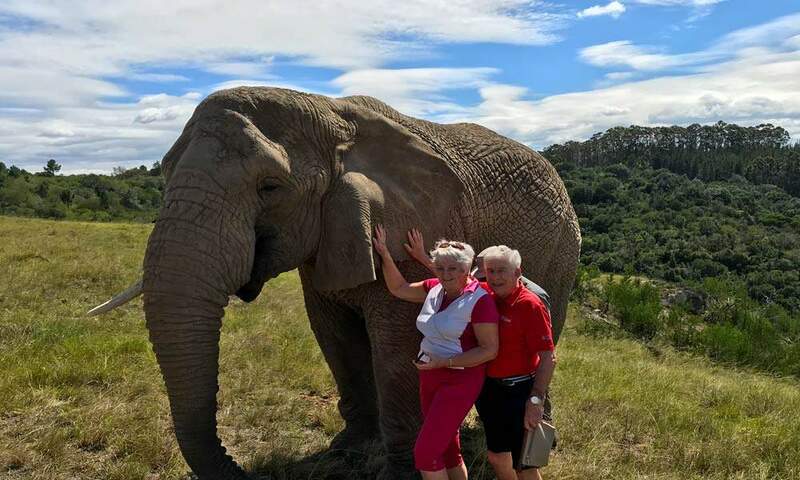 We had a most enjoyable holiday in South Africa. 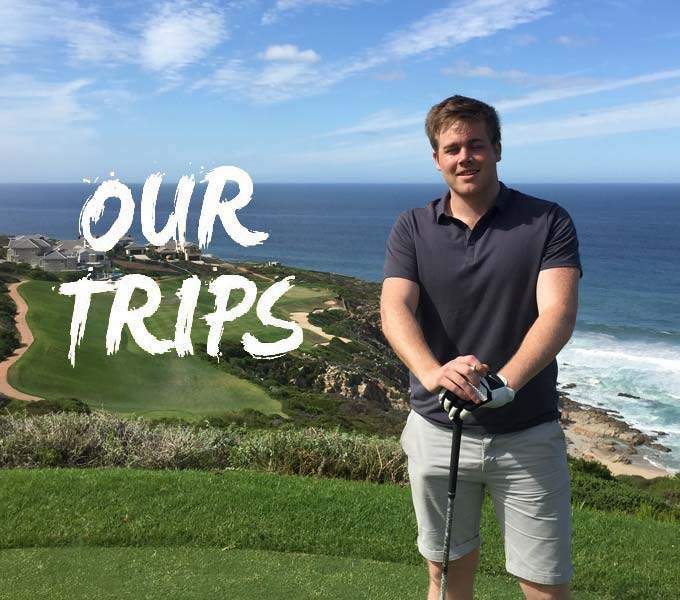 Our Professional Golfer organised and looked after our group excellently from the golf courses we played to the excellent restaurants we ate in and the places we visited. Thank you Jacques we looked forward to our next trip to Brazil. 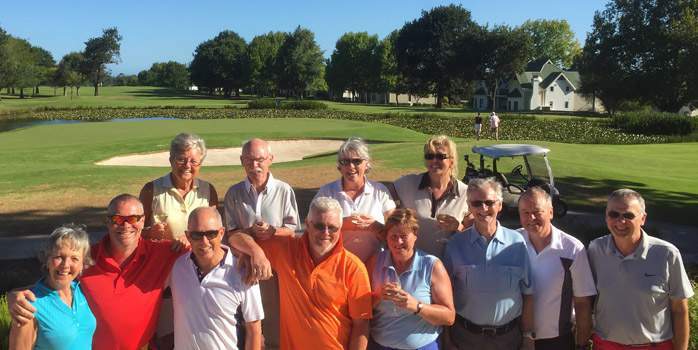 This tour was attended by single travellers, couples and groups of golfers. 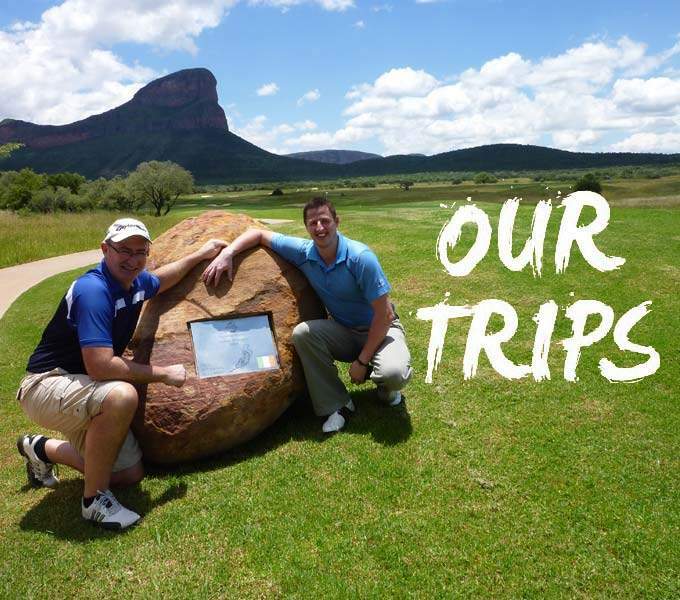 They got to know each other well while travelling with South African Golf Professional Jacques Gous where they enjoyed golf tuition from Jacques himself during this 10-night golfing holiday to the beautiful South Africa. 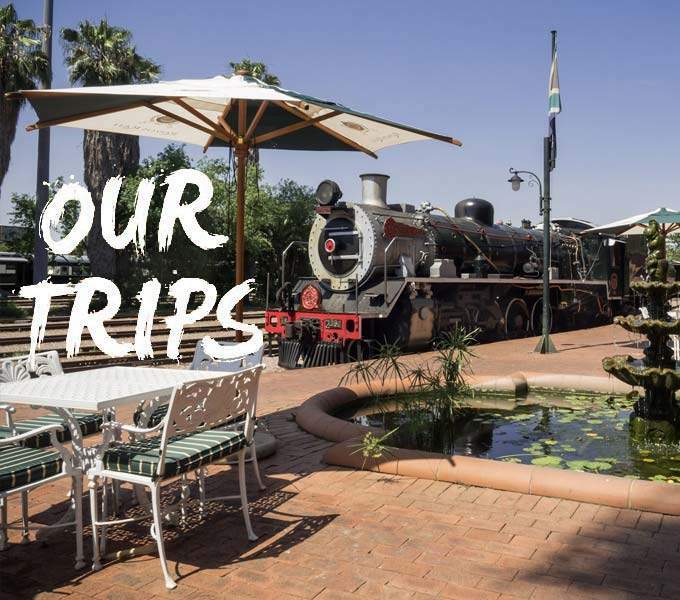 Find out more about exploring the country with a true and proud South African below. and answer questions. 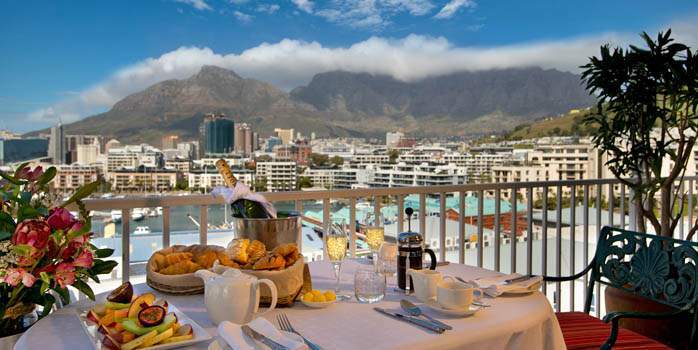 After which we went for a lovely evening meal in the Waterfront. some of the most beautiful vineyards. 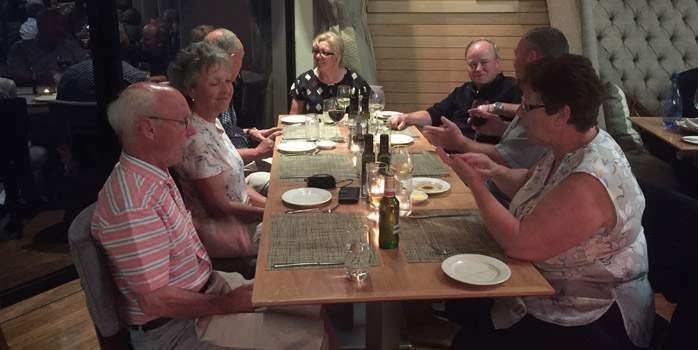 experience, the food was great and the singing and dancing of the guys on stage had everyone’s attention. 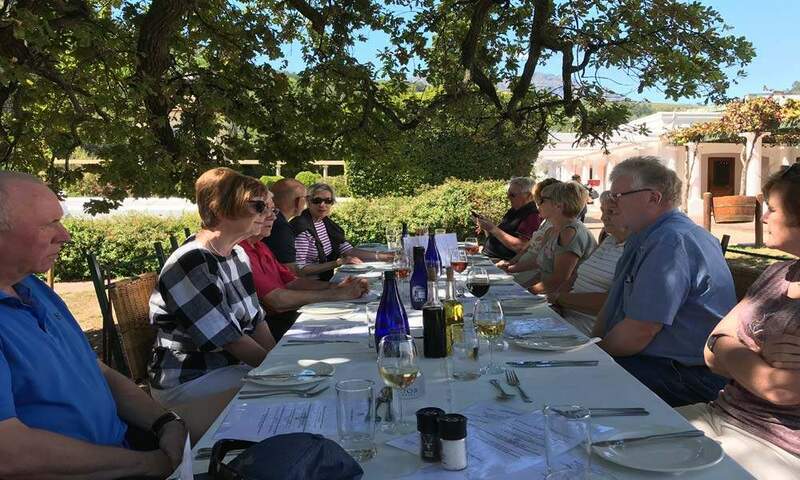 was followed by a short wine tasting, which was most enjoyed by everyone. we should use the opportunity to go up the mountain and even see a sunset. 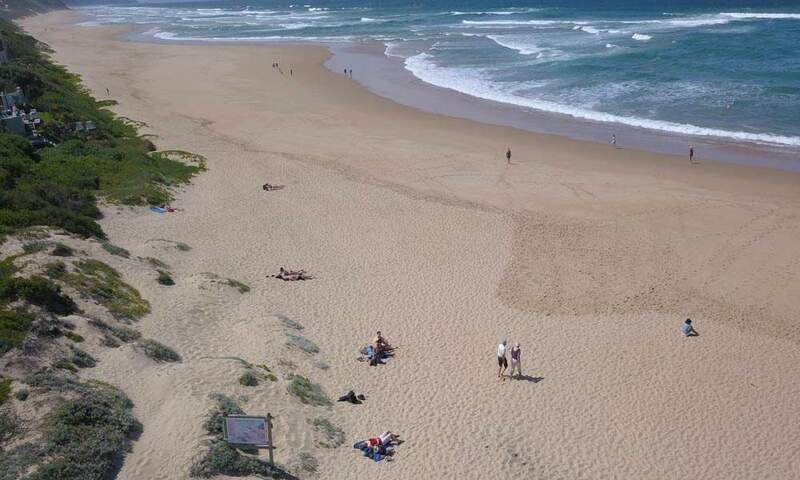 Well i’m glad to report it was the right move and the views were spectacular! 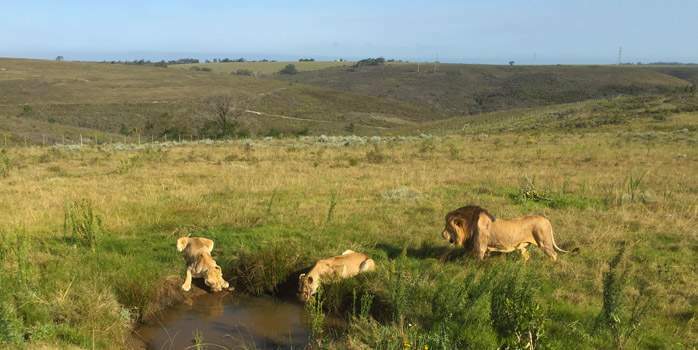 better, we were very lucky to see this. 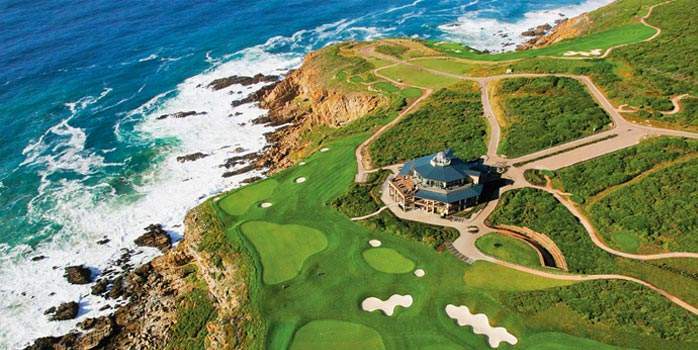 the very stunning Jack Nicklaus design course, Pear Valley. It started of a bit cloudy when we got there, but soon the sun came out and it turned into a beautiful day with the most stunning views yet again. would make a difference. 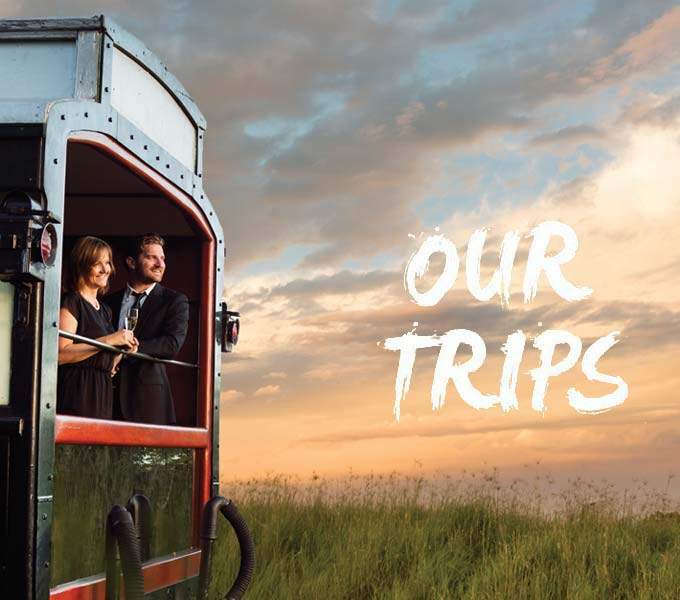 They talked a lot about how much they had enjoyed the day which made me very happy. my first, but definitely not the last visit to this majestic setting where the food was brilliant. ever experienced before. 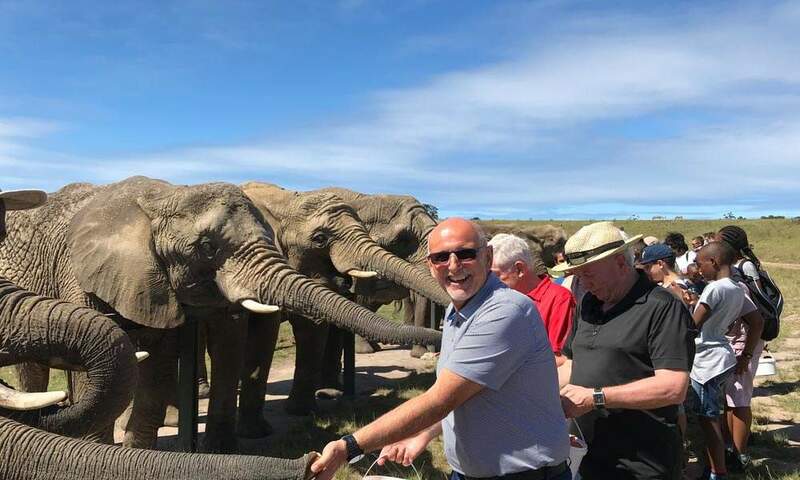 The group got really up close and personal and the feeding went a treat. some walked away with some lovely things that you would never get in the UK. staff looked after us again and the food was tops as usual. Thanks Bryan! 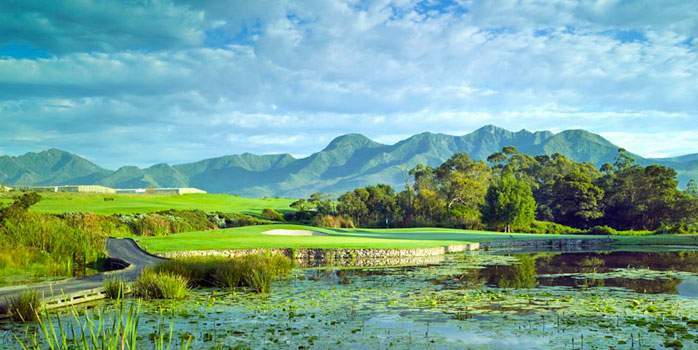 Outeniqua Course and of course there is the Montagu and Links to play as well. made use of the great weather conditions to take some epic photos. 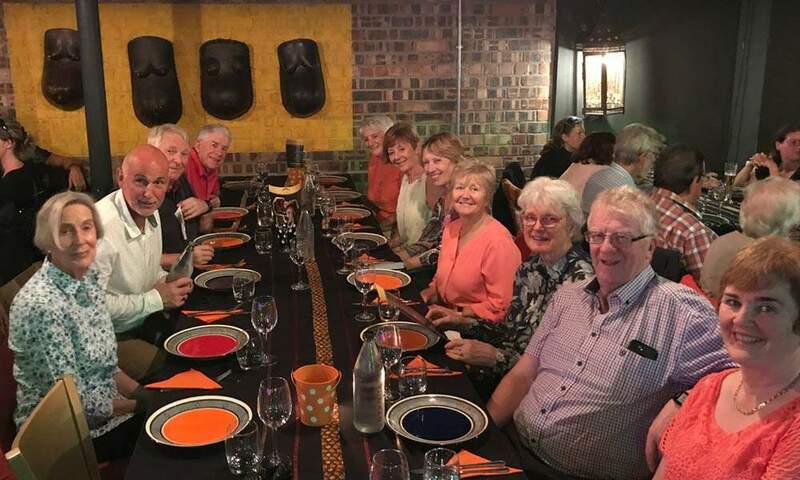 La Cantina, and here we enjoyed a lovely meal together with lots of laughs and stories. well. The food here was amazing and I took advantage of the amazing views and got my drone out to catch some aeriel shots of the team on the beach. 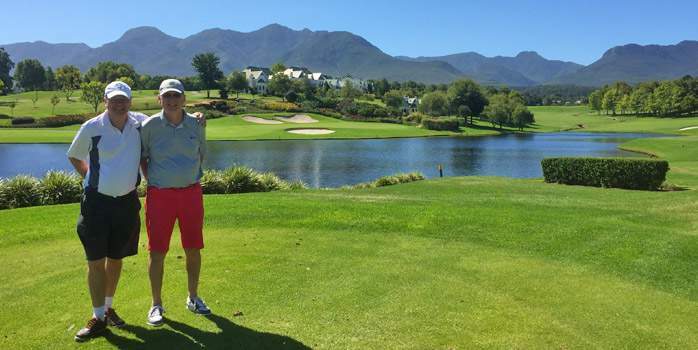 we still got to the golf course and enjoyed our last round at George Golf Club. 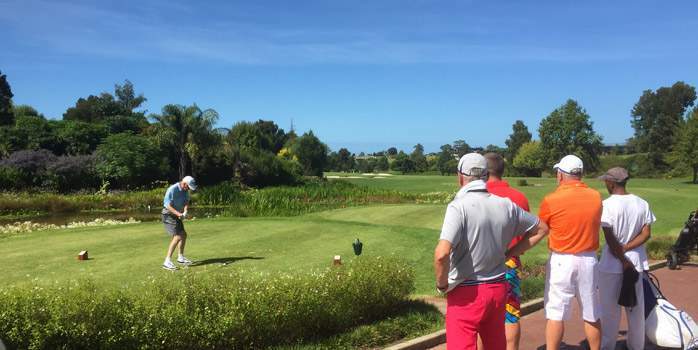 This was one of those courses that you just could not miss off the itinerary, as it was one of the oldest and best kept courses in South Africa and this showed by the reaction of everyone who played it. They loved it and many wanted to play it again. 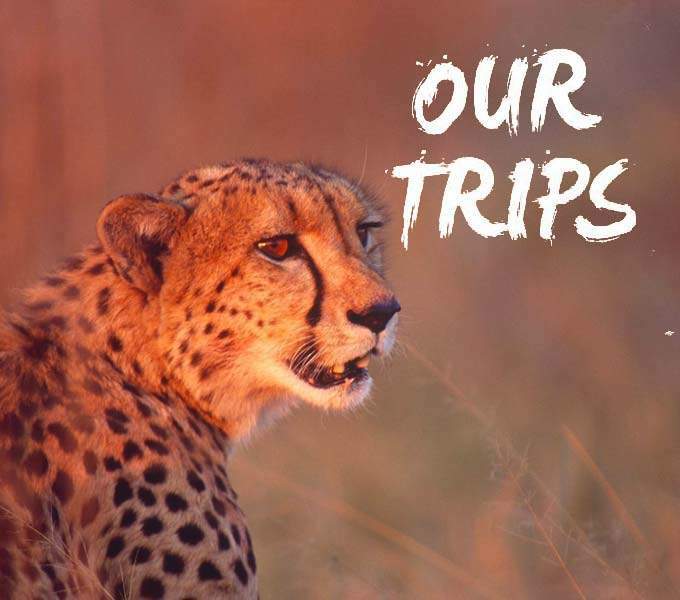 stories about the trip and laughter to share with each other. I cannot wait to do this all over again. 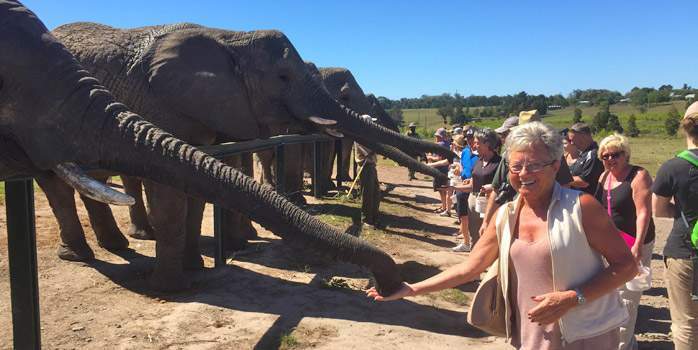 Beat the rush & sign up for next years tour early, by clicking here. 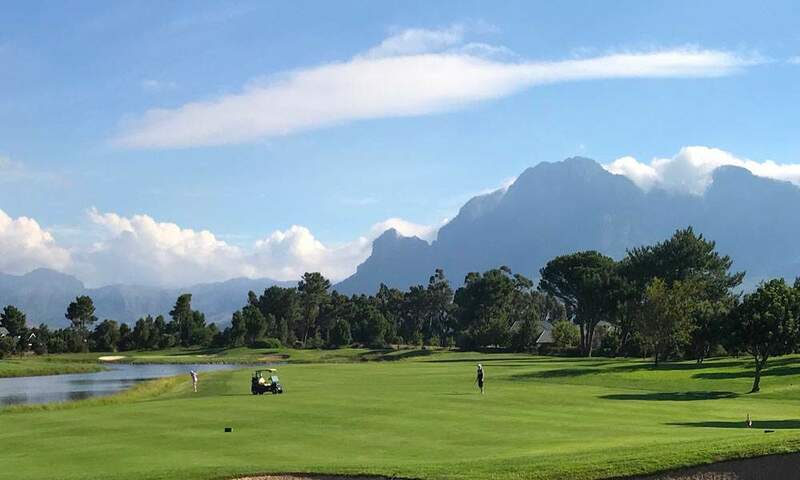 6 rounds of golf – Erinvale GC, Pearl Valley GC, George GC, Pinnacle Point and, the Montagu & Outeniqua Golf Courses at Fancourt. 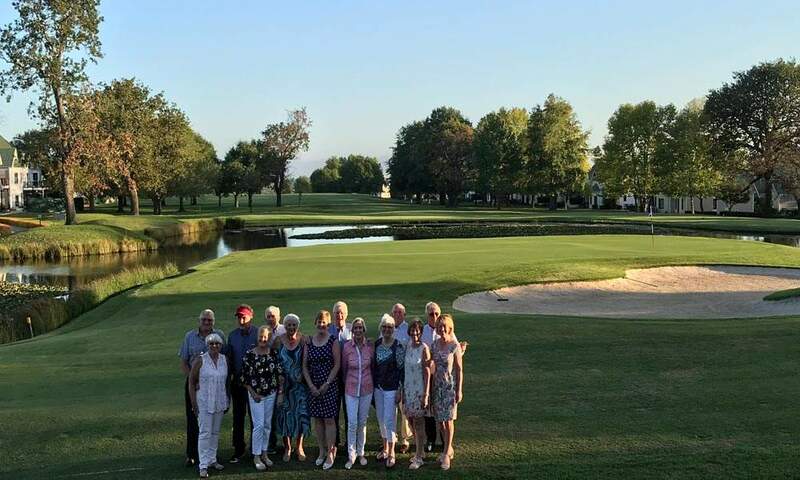 Having hosted the 1996 World Cup of Golf and the second oldest tournament in the world, the prestigious SAA Open in 2003 and 2004, Erinvale is a prime course for golf holidays in South Africa. 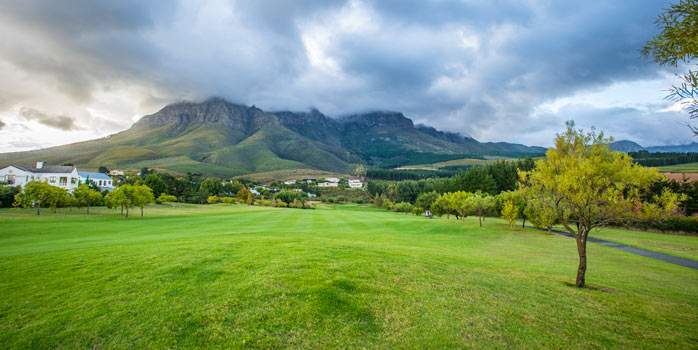 Built on a narrow stretch of land which escalates sharply uphill, Erinvale is an estate course with two distinctly different nines. 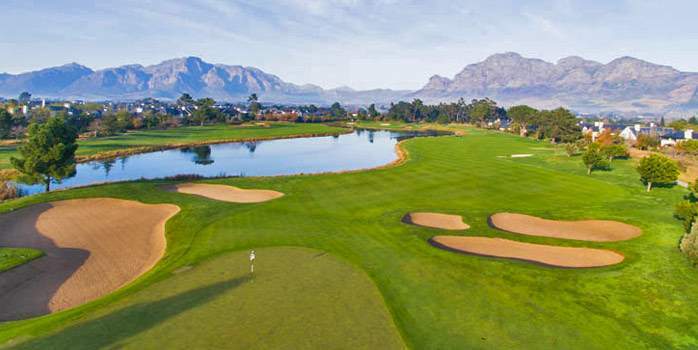 The front nine is flat, winding its way through the park-like terrain estate which calls for challenging approach shots to the long narrow putting surfaces, while the back nine meanders through the foothills of the magnificent Helderberg, with breathtaking views of the False Bay coastline from the top holes. 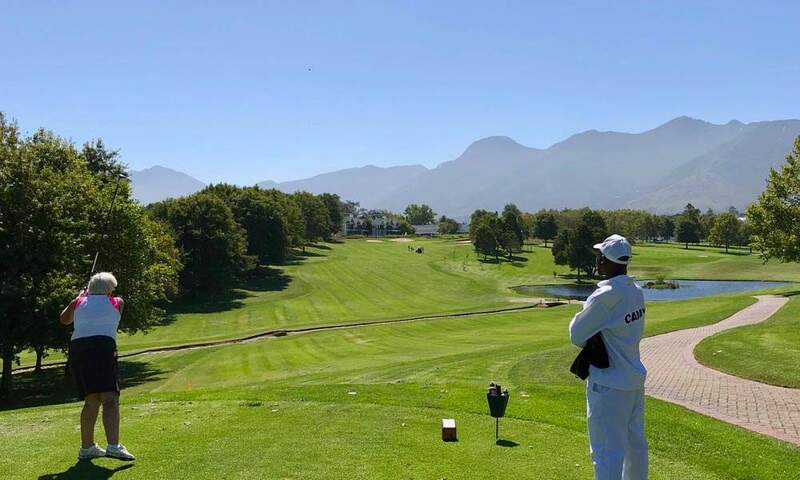 The signature par-four 17th hole requires golfers to play downhill from an elevated tee, with tall pines flanking one side of the fairway, and an out-of-bounds fence the other. 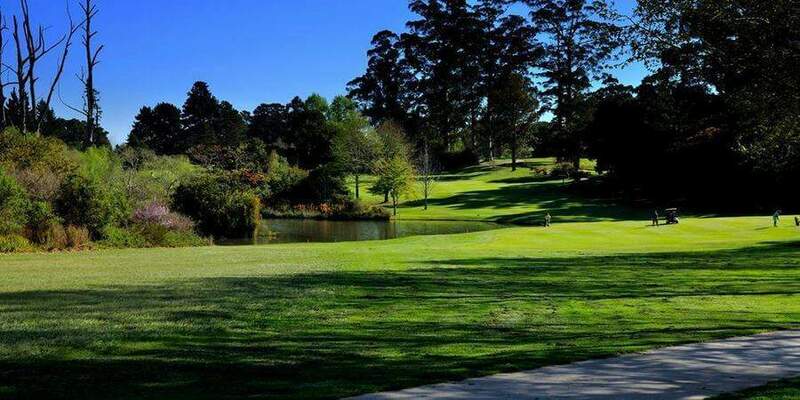 With so many golf courses along the Garden Route to choose from you might think that the George Golf club is just another course. 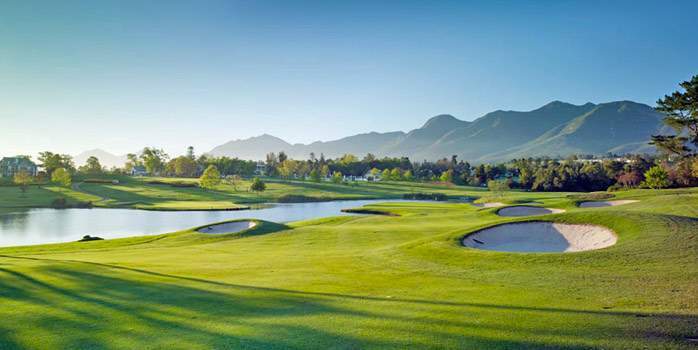 Consistently rated in the top ten in the South Africa this is a real gem. 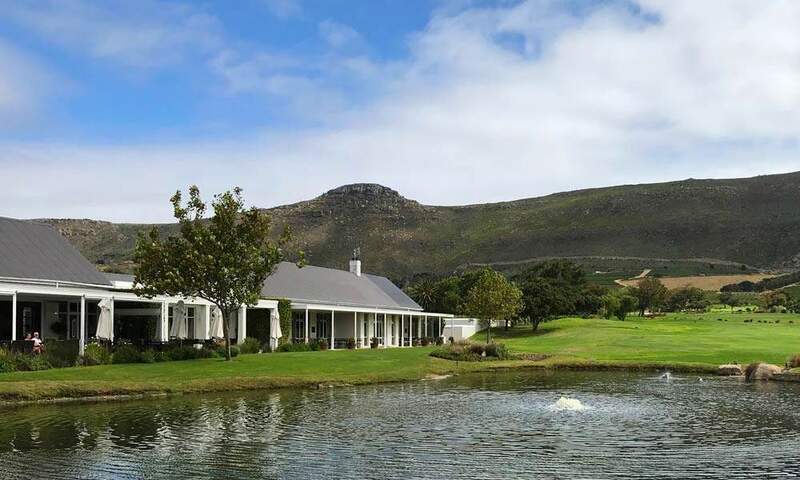 George is a combination of parklands and woodlands layout with well-established trees. 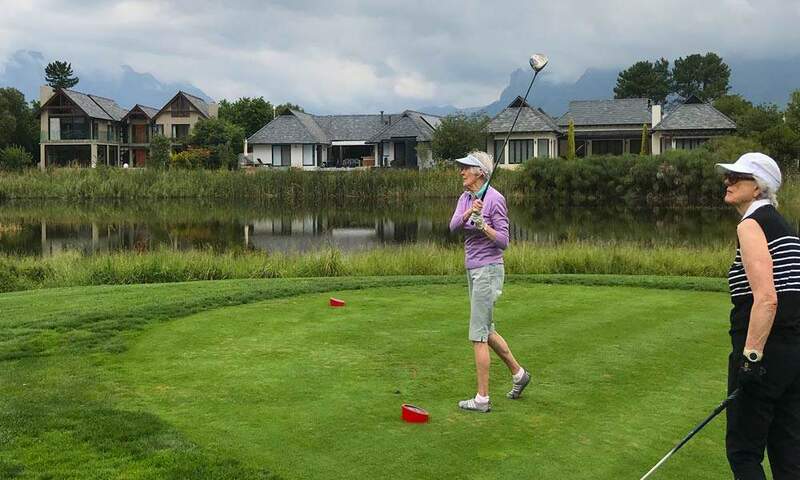 The course is in a forest and the surrounding natural vegetation together with backdrop of the Outeniqua mountains makes a beautiful setting. 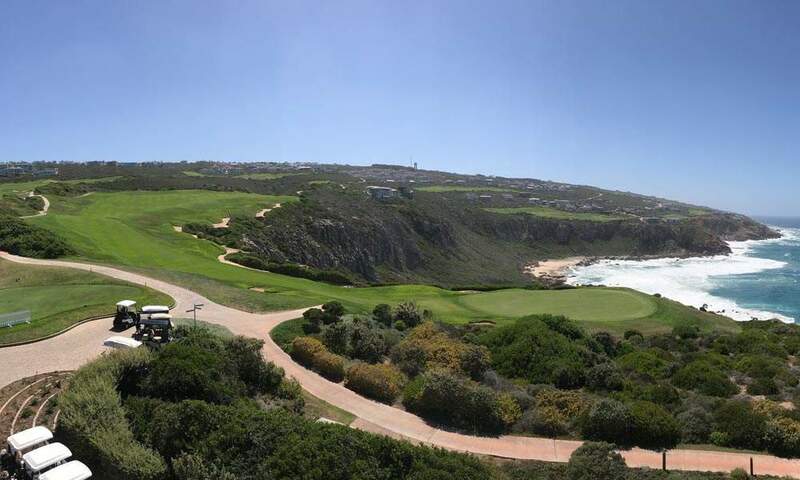 The Pinnacle Point Golf Course, co-designed by renowned golf architect Peter Matkovich and professional golfer Darren Clarke, stretches along four kilometres of spectacular coastline and boasts dramatic cliff-side holes as well as a virgin beachfront. 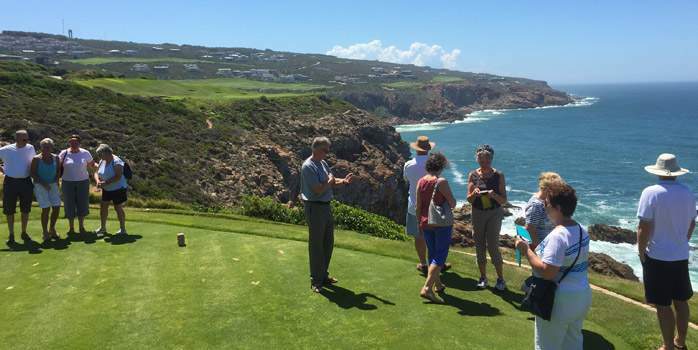 Awe inspiring views are a given with the stunning ocean visible from every hole, stunning location for golf holidays in South Africa. 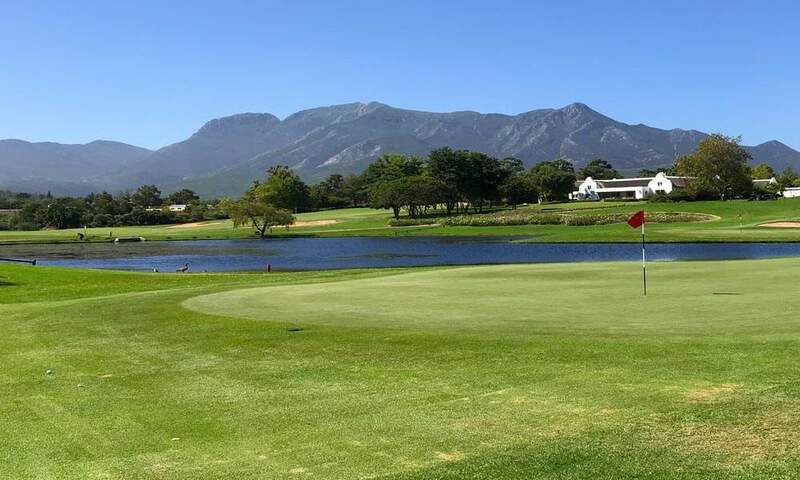 The emerald green fairways and tees offer a perfect surface for making shots and the bent grass greens will ensure a challenging and entertaining game. 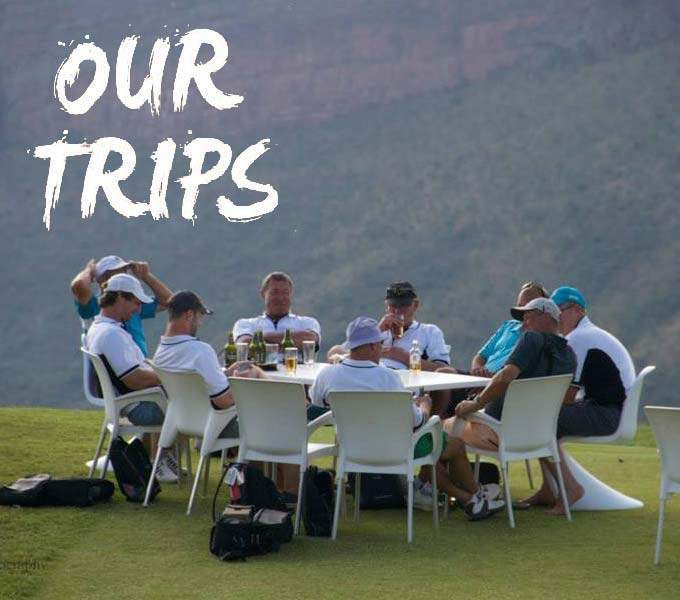 The seven holes perched precariously along the cliff edge not only intimidate but also seduce the golfer with both their challenges and their beauty, and are justifiably some of the world’s most photographed holes.